The Lake Geneva Business Park is a 124 acre, high-quality business park located on a 4-lane divided thoroughfare minutes from Highway 50 and Highway 12. There are only three fully improved lots left, totally 9.32 acres, with paved roads and sanitary and storm sewers. Lots may be combined if needed. 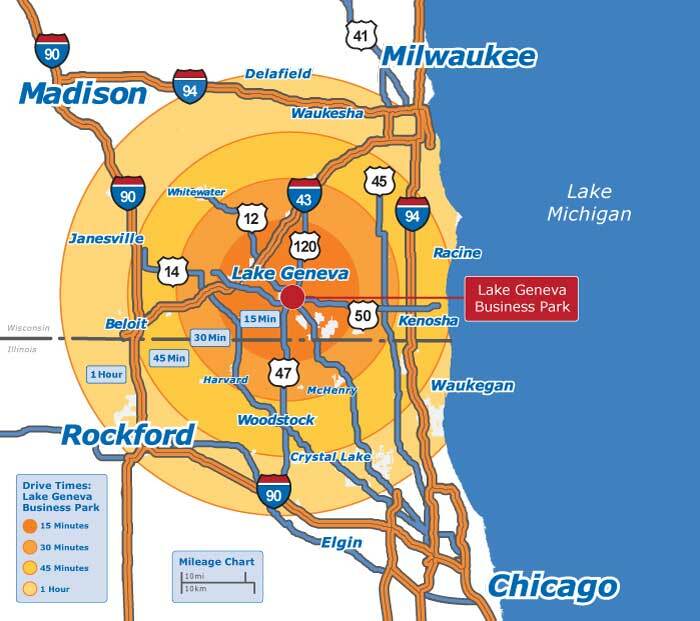 In the Lake Geneva Business Park, your real estate investment is protected by park covenants and zoning codes. 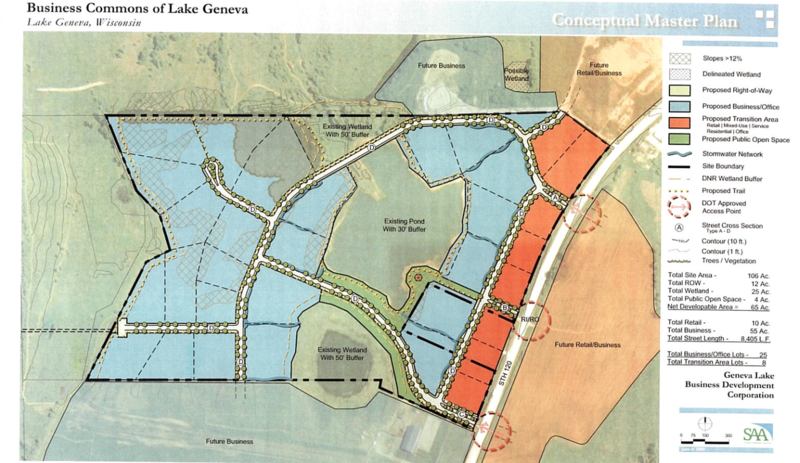 The zoning is aligned with City of Lake Geneva codes for fast-track construction and development. The Park has easy access to major highway systems--only one hour away from the major metro areas of Chicago, Milwaukee, Madison, and Rockford. The area offers a local pool of dependable, skilled labor for fast growth potential. Click on each image below to open up a larger version of the map in a separate window. 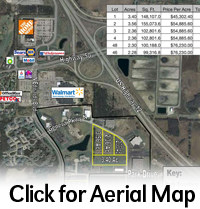 We also have a 0.28-acre, level commercial lot available on 323 Broad Street in Lake Geneva. 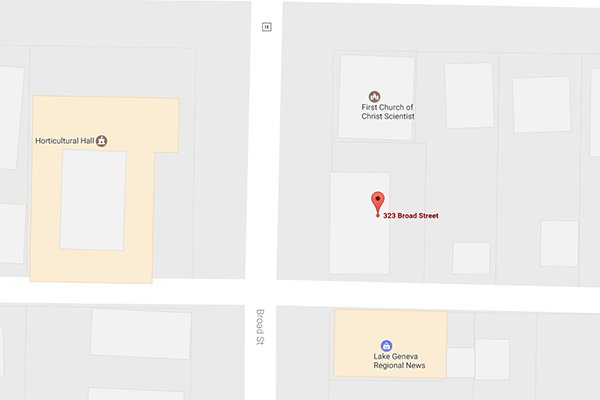 In fact, this is currently the only commercial lot available in Lake Geneva's lively downtown. Located across the street from the lovely Horticulture Hall, this lot was the former home of the Traver Hotel, which has since been razed, and is now ready for a new chapter to begin. Zoned Central Business, but ideal for many uses, this lot is the perfect opportunity for an entrepreneur looking to launch his/her new business. For more details, (click to view the full lot listing).